Through the Summer Camp we offer the possibility for players to choose which weeks of the summer period (June, July and August) they want to come to our centres in Jávea and La Nucia to do multi-sport activities and meet new friends. 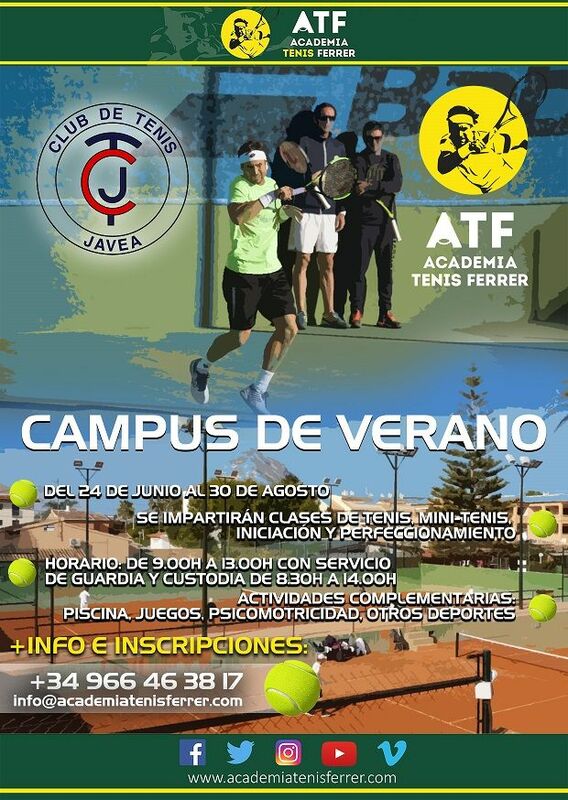 The Summer Camp in Jávea starts on 1 July and ends on 31 August. Summer Camp for children from beginners to 10 years old where language and multisport classes are given such as Tennis, Padel and swimming pool. The timetable is from 9:00am to 1:00pm Monday to Friday and costs 125€/week. On the other hand, for advanced children, we have a training program adapted to their level. It consists of 1h 30′ of tennis in the morning session with a “Pre-Competition” class from 11h to 12:30h and 2h in the Competition class from 16h to 18h. In total 3h and 30′ every day from Monday to Friday, so it would have a price of 150€/week. 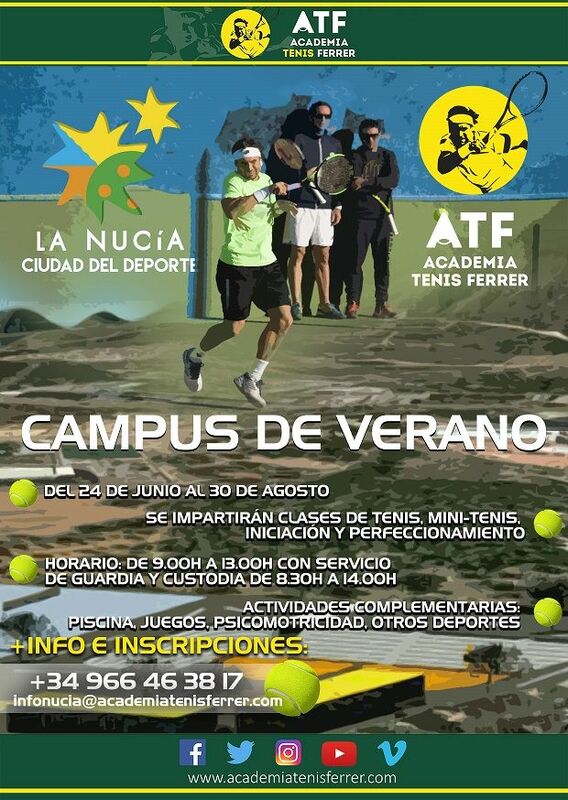 The Summer Camp in La Nucia starts on June 25th and ends on August 31st. Summer Camp for children from beginners to 10 years old where they will have multi-sport activities such as tennis, football and swimming pool. The timetable is from 9:30am to 1:30pm Monday to Friday and costs 125€/week. Summer Camp for children up to 16 years old where they will have multi-sport activities such as tennis, football and swimming pool. If you agree with the program, you only have to confirm it by means of the form below or to request information. I need information about accommodation.